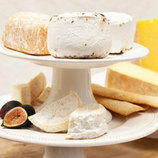 A native of Ecuador, Arturo Chiriboga has mastered the art of German cheesemaking. At the foot of the Alps in Bad Oberdorf, Bavaria, he makes his eponymously-named blue based on a recipe for a cheese called Bavarian Blue that was developed in 1902. Though the original cheese was modeled on Roquefort, this incarnation is nothing like the French classic. 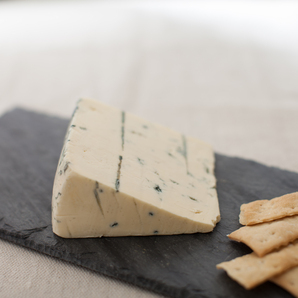 Chiriboga Blue is intensely rich and buttery, with a dense, tongue-coating texture that is reminiscent of frozen custard. It has flavors of sweet cream and grass, with a balanced blue piquancy.